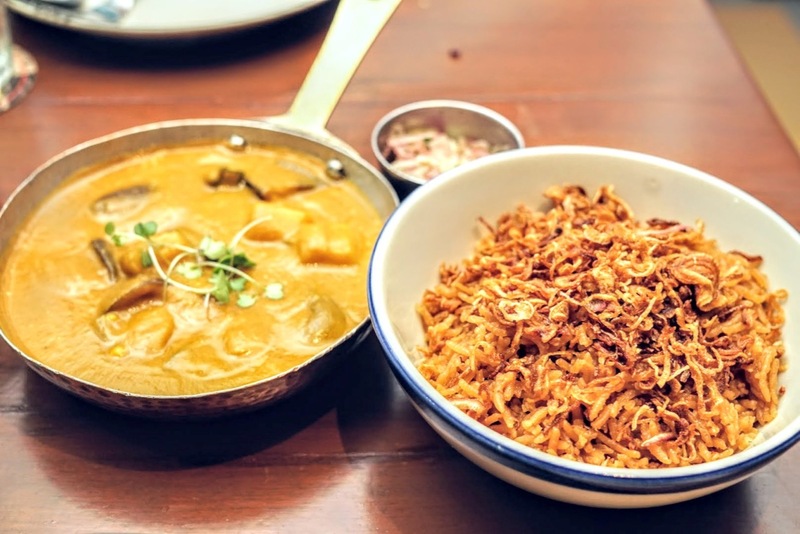 For someone who has to go to Mumbai for work, I've been looked down upon for not having visited Bombay Canteen. 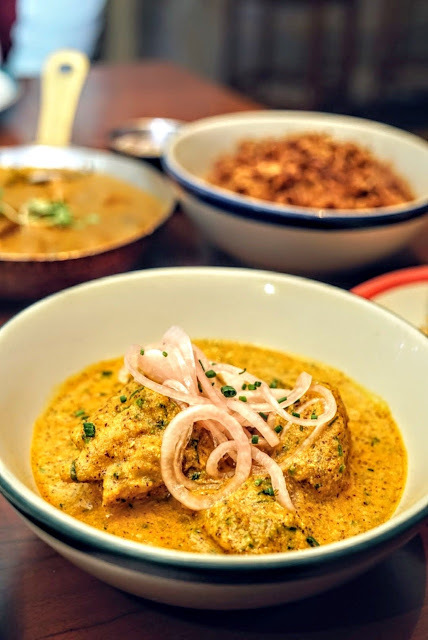 Almost as if sacrosanct, foodies rave about this place and no conversation about food seems to take off if I haven't eaten at Bombay Canteen. So, partly to blend in and partly to find out what the fuss is all about (OK, mostly the second part), on my previous day trip to Mumbai, I booked the last flight out and got seats for an early dinner. While the menu is interesting, the first page simply says, "Can't make up your mind? Ask the waiter and we will take care of it." The waiter seemed excited to make a tasting meal for me. We asked for one vegetarian and one non vegetarian and sat back. Ten minutes later, another waiter came and asked for our order. We said, we had already placed the order with a different waiter. He then said that a tasting portion is not possible unless both of us take either veg or non veg. I thought the whole thing was poorly handled. First, the first waiter should have known. Its OK. He should have come back and told us this is not possible. That's OK too, but the second waiter came to the table, clearly knowing fully well that we had placed orders for a tasting portion. To come over and hope that we 'forgot' about our order and would place it again is like the rock bottom of service. He could have simply apologised or explained that we need to place order again or that he could help us with orders since a tasting menu wasn't possible. Also, I don't know why we can't have two different tasting portions if every one is getting an individual plate. That is the whole purpose of a tasting menu! Anyway, it left a bad taste long before the meal began and I sat back only to see what the fuss was all about. Thankfully, the food made up for it. We were told that some of their dishes can be made to smaller servings, so I was happy to get one piece of the Indian Taco. My vegetarian friend got himself one too and apparently it was so good that he didn't share it with me. 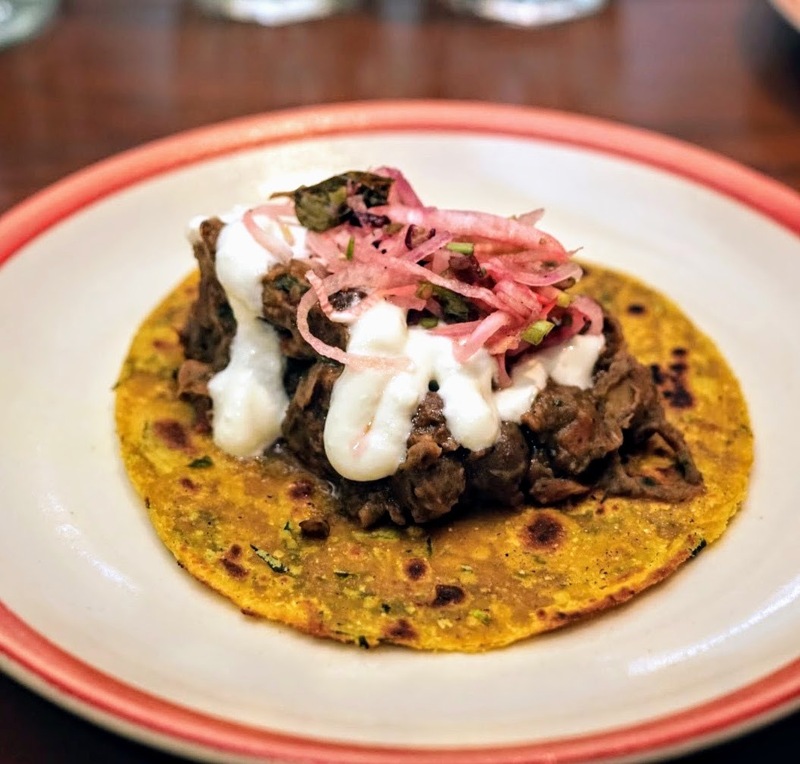 The methi roti with its fiercely South Indian spiced chicken was a love affair for the tongue and the first dish largely cooled down the disappointed brain. 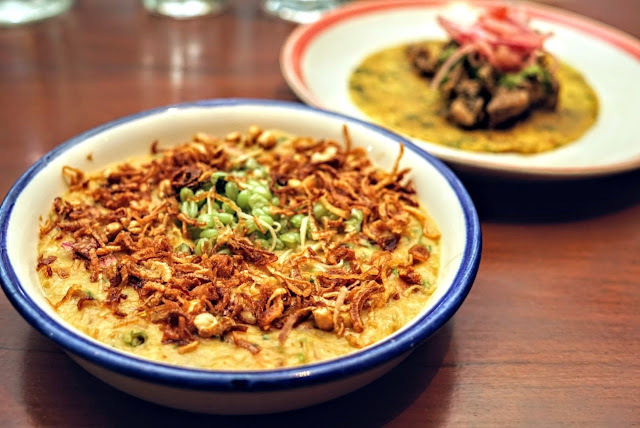 The small portion of Lamb Haleem had a green twist to it. I don't remember the name of the lentil, though the waiter did tell it to me (thrice I think), but the beautifully textured haleem and onions were complemented equally well by this green lentil. 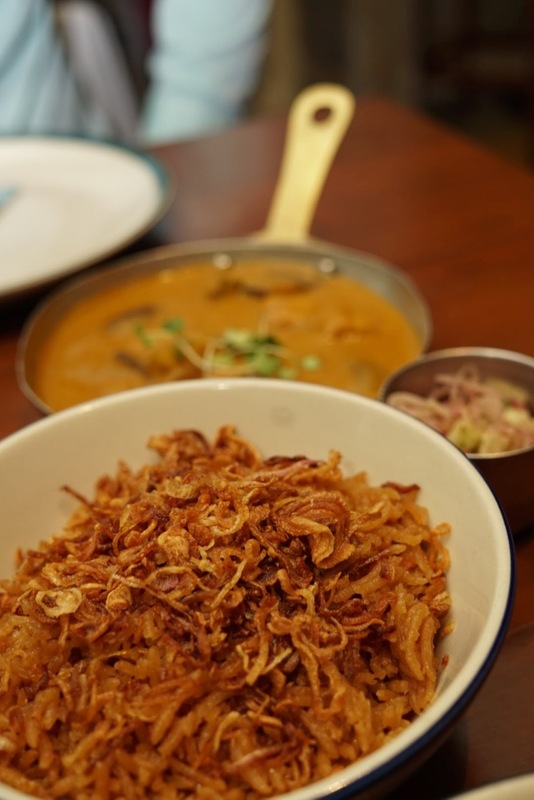 This haleem could stand its own in Hyderabad. The waiter suggested that we try the barley salad (again, a small portion) and this was their stand out dish. 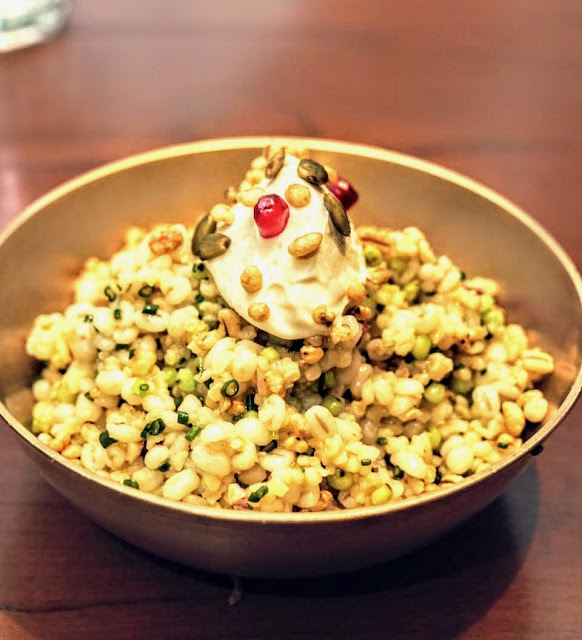 Fresh, light and cooling, we literally dug every grain in the dish. Dhansak and a Mustard Chicken made up our main course. 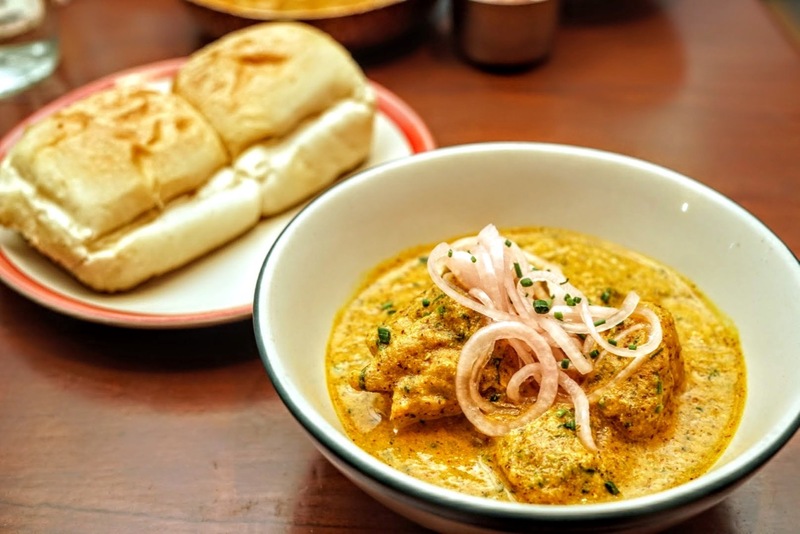 A classic Parsi dish, the Dhansak did not disappoint my palate, the mustard chicken did. Initially. But as the evening progressed, I realised I was going back to the chicken and dunking the pav in it and scooping it out. Though it was also the small portion, it was too much for me and I couldn't finish it on my own. A beautiful guava dessert completed our meal. 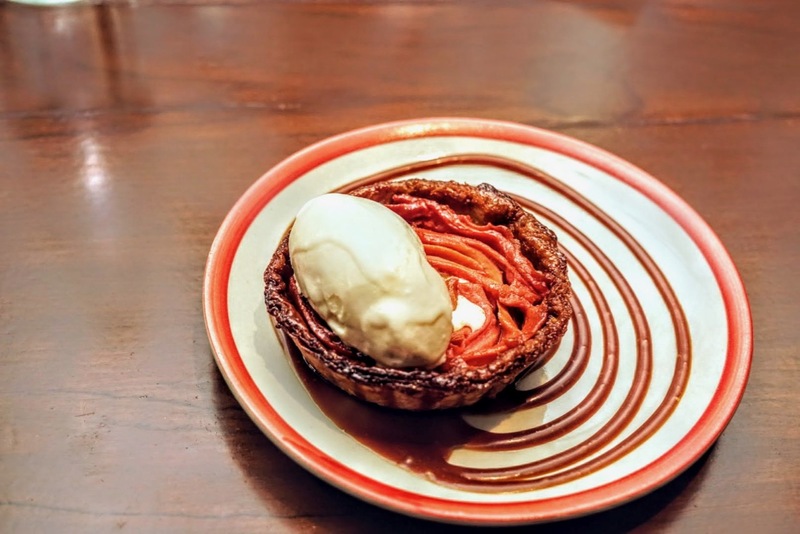 A light, but chewy puff pastry with pink guava and guava caramel was served with chilli ice cream to really capture the essence of street side guava with chilli dip in a fancy restaurant. We were charged 1/3 for the taco and 60% for the small portion for the rest of the dishes.